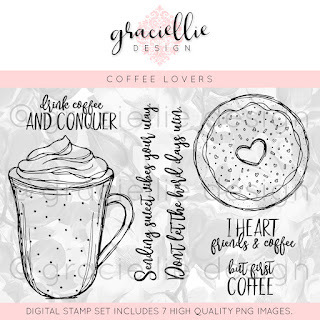 Today I have a "sweet" card to share with you featuring Graciellie Design's new "Coffee Lover's" Digital Stamp Set. 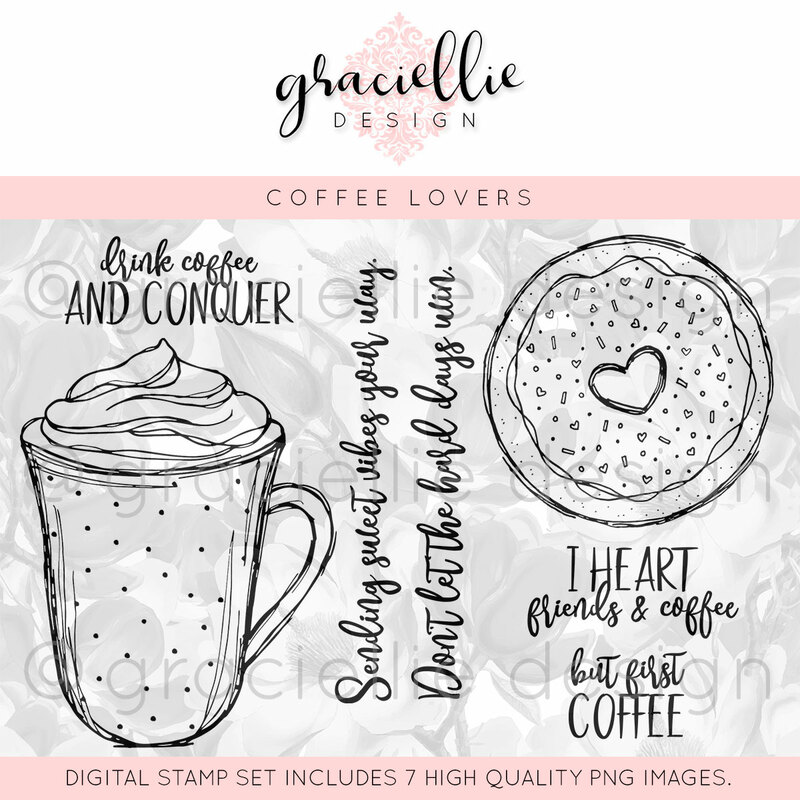 I also used the Coffee Lover's Digital Paper Pack and a sheet from Rustic Winter Wishes. By inverting the color on the white text background I created the background piece you see pictured above. Esther, this is wonderful! I'm always wow'd by all your details! This is such a fabulous set! And your card is delightful! Awesome colors. Great images and layout. Fun card. Great design and so festive with all the paper piecing you did. This is just stunning, Esther. Love the color combo. And the text. And the paper piecing. Everything! This is a beautiful card, Ester. Love Graciellie's images. This is darling, Esther. You never "phone it in" (and I've seen plenty of those on this hop).....your creations are always so beautiful and detailed with textures and wonderful touches. Wow! Fantastic!! Love your paper piecing and how you changed up that background! Very cool! Adorable card!! Thanks so much for participating in our IF YOU GIVE A CRAFTER A COOKIE... challenge. Hope you participate in our next challenge!! Have a happy crafty day!! !